Michael and his younger brother, Sam, move together with their just-divorced mother, Lucy, to their Grandpa’s house in Santa Carla. It just so happens to be that Santa Carla is also known as the “Murder Capital of the World”, because for some reason, people tend to disappear in this town without leaving any trace. One night, while hanging out at the Boardwalk, Michael start following an attractive girl named Star, who is quickly discovered to be flocking with a gang of vampires, led by a guy named David. Meanwhile, Sam befriends Edgar and Allen Frog, two youngsters who work at a comic book shop and claim to be vampire hunters. They warn Sam that Santa Carla is a haven for vampires. David’s gang try to recruit Michael, but only manage to transform him into a half-vampire. They still need Michael to commit his first kill, only then he’ll become a true vampire. Once Sam discover that his brother is turning into a vampire, he calls the Frog Brothers to assist him in hunting down the head vampire. 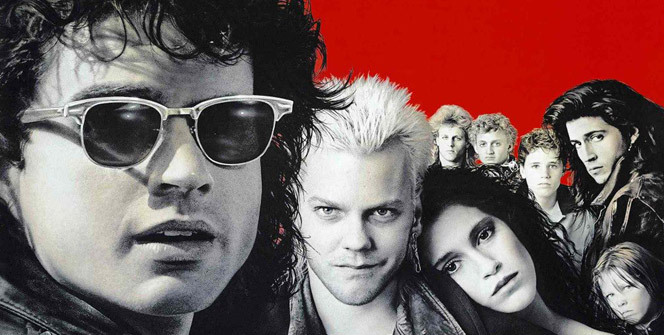 The Lost Boys is a fun movie to watch. Even though it has been 30 years since it was first released, the movie still holds up and the effects are pretty impressive. The plot provides a few interesting turns here and there and the cast is doing a wonderful job. The soundtrack is the icing on the cake and it fits perfectly into the movie. 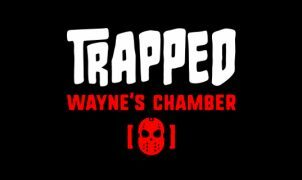 It’s a pure mix of horror and fun from start to finish. One of the best vampire movies ever.